The First Lady of the United States, Michelle Obama, will make a special taped appearance at Cartoon Network’s upcoming Hall of Game Awards. As national spokesperson and co-founder of the Let’s Move! 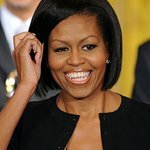 initiative, Mrs. Obama will appear onscreen to announce a set of schools that have most successfully created healthier school environments through the promotion of nutrition and physical activity through the USDA HealthierUS School Challenge. The announcement comes this week as the First Lady also celebrates the one-year anniversary of Let’s Move! Hosted by skateboarding legend Tony Hawk, Cartoon Network’s Hall of Game Awards will air on Friday, Feb. 25, at 7 p.m. (ET/PT), and is the first-of-its kind sports and entertainment awards show for kids, honoring favorite sports stars and sports moments of the year. Rebuilding their parish (county) schools from the ground up following Hurricane Katrina, the 25 Louisiana schools of St. Tammany Parish earned nearly half of the HealthierUS School Challenge Awards for outstanding work in providing healthy school meals and optimum exercise programs through ensuring regular physical education classes. The schools were lauded by Let’s Move! for their remarkable work in creating quality lifestyle programs for all students, particularly commendable considering the unique obstacles they faced. Created by the USDA and supported through the White House Task Force on Childhood Obesity, The HealthierUS School Challenge (HUSSC) is a voluntary initiative established in 2004 to recognize those schools participating in the National School Lunch Program that have created healthier school environments through promotion of nutrition and physical activity. In February 2010, First Lady Michelle Obama introduced Let’s Move, incorporating the HealthierUS School Challenge into her campaign to raise a healthier generation of kids. At that time, monetary incentive awards became available for each HUSSC award level: Bronze, Silver, Gold and Gold Award of Distinction. To date, 1047 awards have been presented toward a goal of reaching 1250 schools by June 2011. Further information about how schools can get involved with the Let’s Move! Campaign is also available at CartoonNetwork.com.